The 18′ Skiff ANZAC Championship is on again and is being hosted by the ASC Skiff League and Royal Akarana Yacht Club over a long weekend from the 21-23rd April. At this stage 10 boats are set to race, including Maersk Line with a new crew line up which includes Starling and 29er sailor, and 2017 RS Feva World Champion, Eli Liefting. 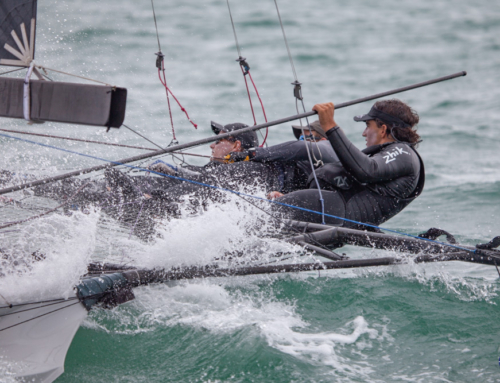 At just 15 years young, Liefting is currently in Wellington competing at the Starling Nationals out of Worser Bay Boating Club, however returns to Auckland the day prior to the ANZAC Championship and jumps straight on board the 18′ Skiff as mainsheet hand for his first high performance sailing regatta. 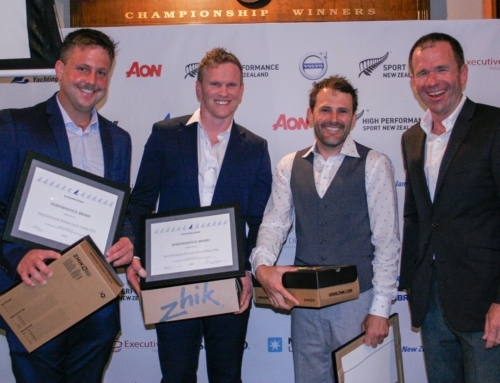 “Eli is one of the most enthusiastic young sailors I have ever met,” said Pearse, who also coaches alongside him at the Royal Akarana Yacht Club Sailing Academy. “Every time Eli sees me even remotely near the 18, he is asking ‘when are we sending it again’, so it’s only fitting that he get to race for a three day regatta,” continued Pearse. “The 18′ Skiff is so cool and so much fun. I’m not really nervous about how fast we are going because I love sending it!” said Leifting. Also on board Maersk Line is Harry Clark who although doesn’t have a lot of 18′ Skiff experience, is another keen sailor who wants to be involved with the class after clocking up loads of offshore yachting miles. “We are going into this regatta with a very open mind. Sure we want to do well, but it’s our first event as a team, so at the moment we are just focused on keeping things together,” said Pearse. 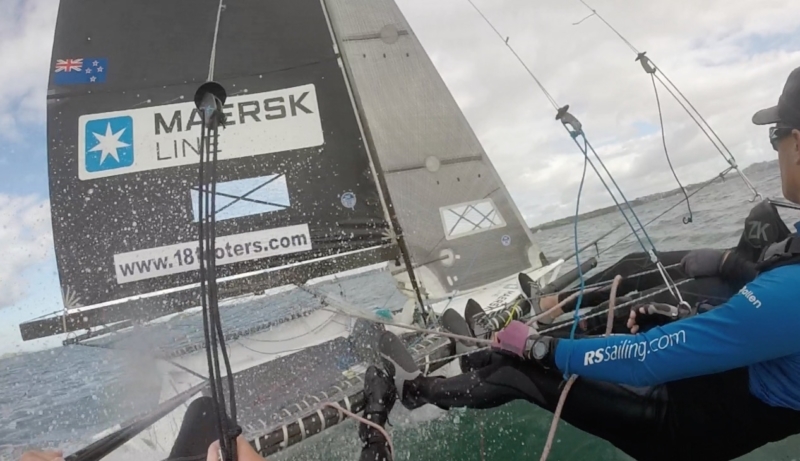 While Pearse, Liefting and Clark are sailing a Maersk Line branded boat, this is not to be confused with the 2018 JJ Giltinan Maersk Line crew, who for the ANZAC Championship, are sailing GC Racing with female skipper Erica Dawson on board. 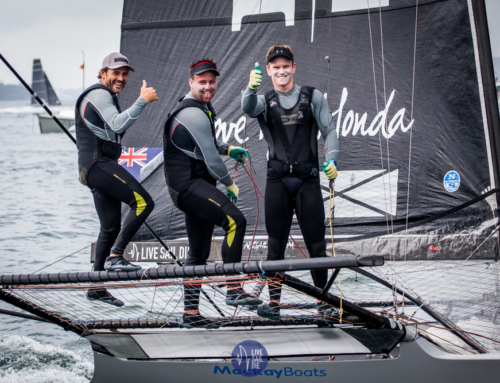 Dawson is teaming up with Jack Simpson and Dave Hazard who were crew for Josh Porebski at the World Championship in Sydney in March, and Dawson is stepping in for Poreski as he is overseas competing in the 49er circuit.